Noah Berger/APLinkedIn CEO Jeff Weiner. If you’re one of LinkedIn’s more than 300 million users, it’s very possible the professional networking site has helped you get a job. But a recent lawsuit highlights a feature of the site that can allegedly have the opposite effect. 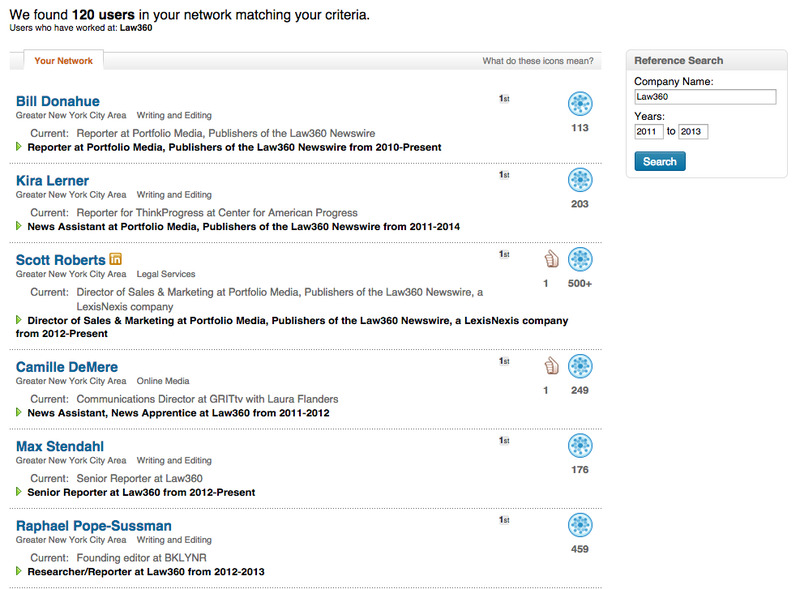 In a proposed class action lawsuit filed last month, four lead plaintiffs claim their job searches were hampered by LinkedIn’s “Reference Search,” a product the site offers its premium members. 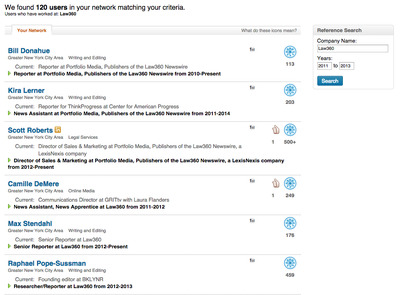 Reference Search works by giving a hiring manager or company a list of people in their network whose LinkedIn profiles indicate they have worked with a person the company is thinking about hiring. The hiring manager can then use LinkedIn’s “InMail” feature to reach out to the people on the list and get their opinion on the job candidate. In theory, this feature could put job hunters at a disadvantage by taking the process of selecting references out of their hands, thus opening them up to criticism from past coworkers who had not first agreed to give them a positive review. It also creates a scenario where the prospective employer could be given a list of people who had inaccurate job histories on their LinkedIn profiles, did not work closely with the job candidate, or are otherwise unqualified to discuss the candidate’s abilities. For instance, a review by Forbes reporter Susan Adams found that a Reference Search done on her provided the names of 62 people who worked at a company at the same time as her, but that only two or three of them knew her well enough to give an accurate assessment of her performance. In addition to being potentially harmful to job hunters’ chances, four LinkedIn users are claiming the “Reference Search” product is illegal in the US. The proposed class action lawsuit was filed last month in California and claims the product violates the Fair Credit Reporting Act (FCRA), a 1970 law created to protect people from being unfairly denied a mortgage, credit, or employment based on a background check or credit report. According to a document published by the US Federal Trade Commission, the FCRA gives people the right to know when they have been denied a job based on a background check and to dispute any inaccurate information that came up in the report on them. The complaint against LinkedIn alleges that Sweet, one of the lead plaintiffs, was told by a hospitality company that it had decided to hire her for a job she had applied for on LinkedIn. Shortly after, the company allegedly told Sweet it had changed its mind. When Sweet asked why, the company said it made its decision based on a set of references Sweet had not provided herself, according to the complaint. The plaintiffs claim LinkedIn violates the FCRA by failing to tell companies that they need to notify job seekers when they lost out on a job due to information acquired through Reference Search. 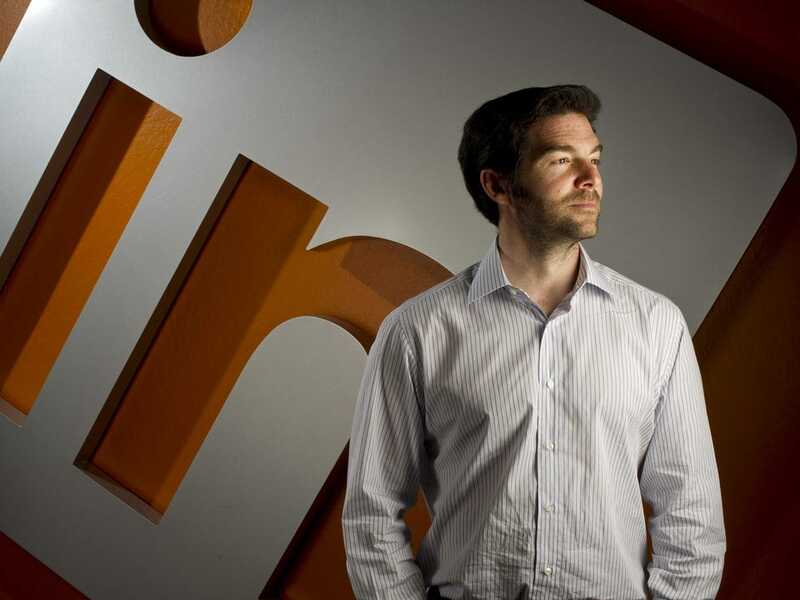 LinkedIn spokesperson Joe Roualdes tells Business Insider in an email that the company plans to fight the lawsuit, adding that Reference Search merely organizes information that its users have already decided to make public. “A reference search, which is only available to premium account holders, simply lets a searcher locate people in their network who have worked at the same company during the same time period as a member they would like to learn more about,” Roualdes says. James Davidson, an attorney representing the plaintiffs, declined to comment.